Ugly Dolls have fairly recently began to trend across the United States. This article explains how the famous toys actually began as doodles on love letters. The silly drawings created by David Horvath that eventually grew into hand made toys sold at local independent stores. I found it extremely interesting that something that started out relatively small between David Horvath and Sun-Min Kim could develop to have such a great demand. I guess it goes to show that when a unique idea or product falls into the right hands anything becomes possible. Recently I have developed a real intrest in these “tiny” houses. I believe it is very impressive to create living spaces that are fully functional with minimal square footage and impact. The picture below is of the interior of the Faberhaus Pavillion designed by Faberca. The house itself only occupies 376 square feet, which is only a bit bigger than a typical master bedroom. The best part of the whole house is that it is fully self sustaining, meaning that it runs off solar energy and a small tank of propane. I know that here in America we have the view that “bigger” equates to “better”, but these simplistic homes are not only lost cost they are incredibly eco friendly. I believe that general public is moving in a more environmentally conscious direction and most companies are hopping on the band wagon. 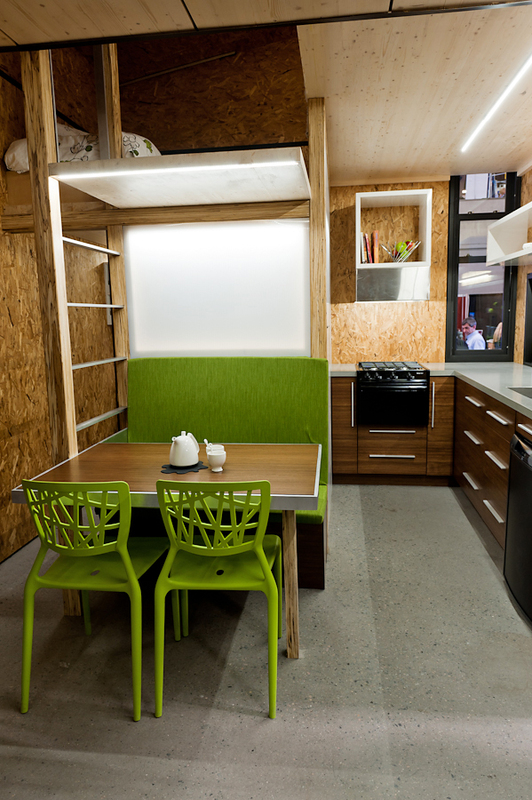 Words like organic and green have began to populate stores but in terms of actually practicing what you preach the Faberhaus and other “tiny” houses are on a entirely different level. I hope I began to see these become a popular trend around the country.